How to Download iOS 8.4 on iPhone – iMobie Inc. The new version operation system 8.4 for iOS devices has been released recently. If you want to update your iPhone/iPad to the new iOS 8.4, this iMobie guide will show you two mays to make it. If you want to transfer files from one iOS device to computer, to iTunes and another device, you can download this all-in-one software to help you after reading this guide. With the launch of iOS 8.4, the Music app was started to appear on iPhone/iPad. If you are still running iPhone 3GS, iPhone 4/4S,iPad 2, why not read this article? 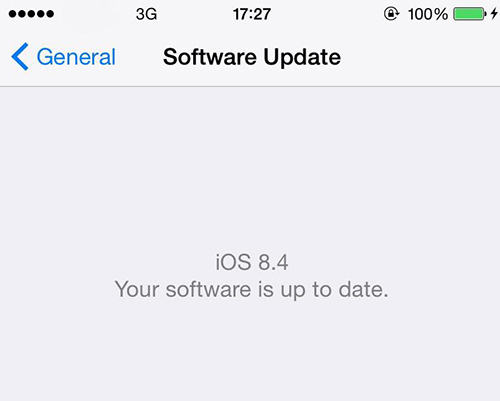 It shows you the detailed steps to download iOS 8.4 on iPhone/iPad. Step 1. 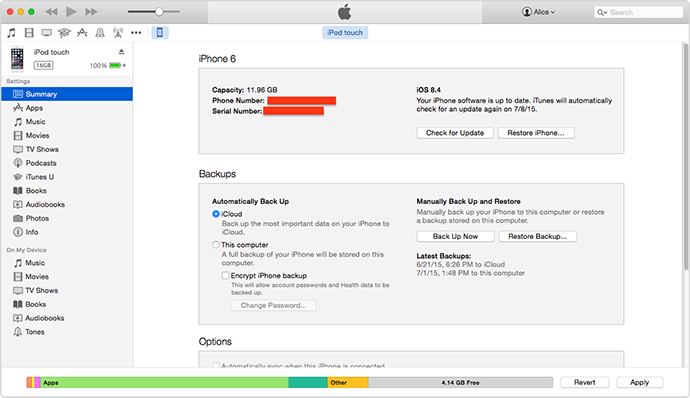 Make sure you have a recent iCloud backup. Step 2. Tap on Settings > General > Software Update > Download and Install. Step 3. Enter your Passcode, if prompted > Tap on Agree to the Terms and Conditions > Tap Agree again to confirm. Step 4. Tap on Install Now. Step 1. Make sure you have a recent iTunes backup. Step 2. Open iTunes > Plug in your iPhone/iPad. Step 3. Click on the device icon at the top left. Step 4. Click on Summary > Check for Update > Download and Update. Step 5. Agree to the Terms and Conditons. Step 6. Enter the Passcode on iPhone/iPad, if prompted. For transferring files between two iOS devices, iTunes won't help you make it, but you can use a powerful software like AnyTrans to share files you need between two iOS devices. If you have any question on your mind, you can contact our support team by email. If you like this guide, don't forget to share it with your friends.